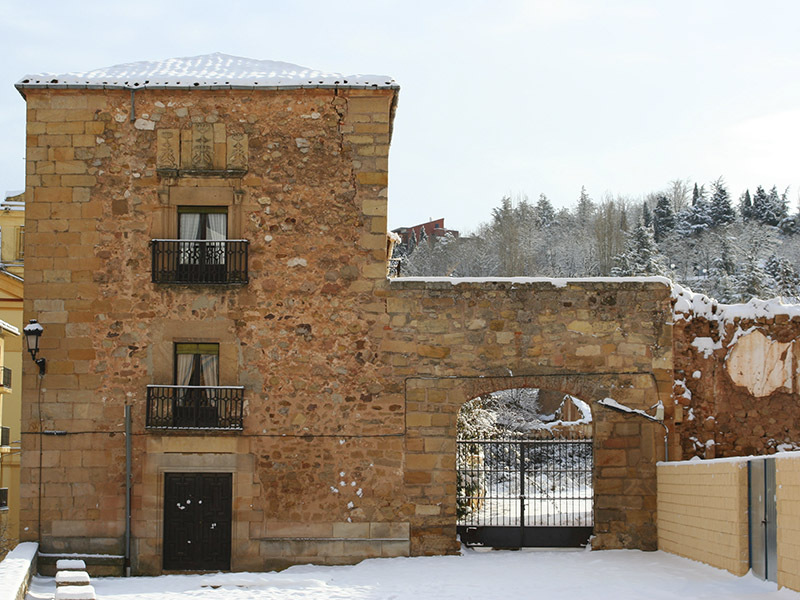 The sixteenth and seventeenth centuries were a time of economic and artistic prosperity for Soria. Sorian nobles created great fortunes thanks to the main product provided by their huge flocks of merino sheep, wool. This, once washed and having passed strict quality controls, traveling to Europe to be manufactured and made into clothing. Under these benefits, the noble estate of the city rose beautiful palaces and mansions. 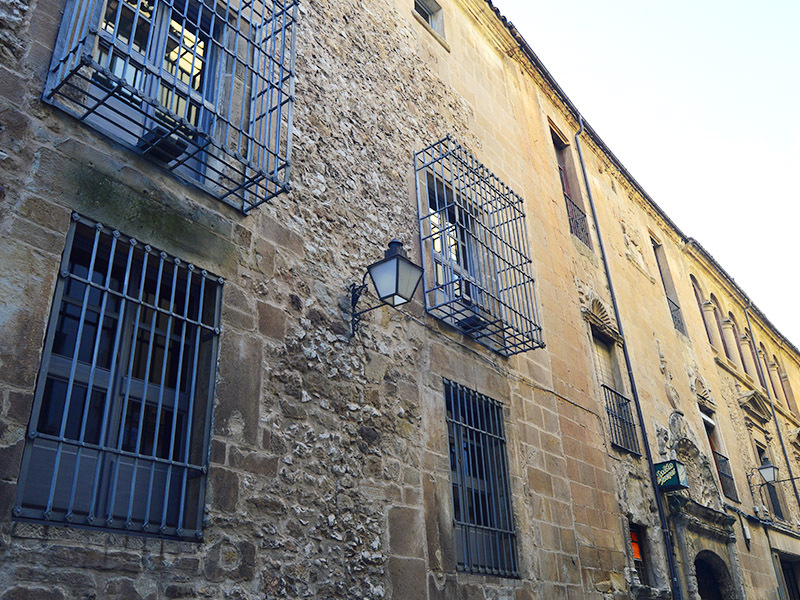 We started our tour at Old Customs House, one of the noble streets of Soria. 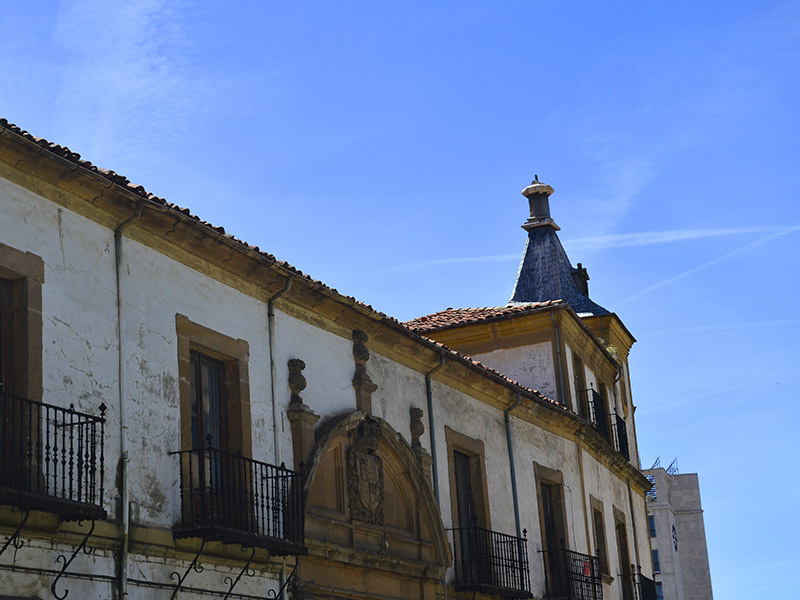 The first building that we found, opposite the Antonio Machado institute, is the Palace of San Clemente (1), initially built in the twelfth century and transformed in the seventeenth century with an austere facade which highlights the variegated shield with double-headed eagle. 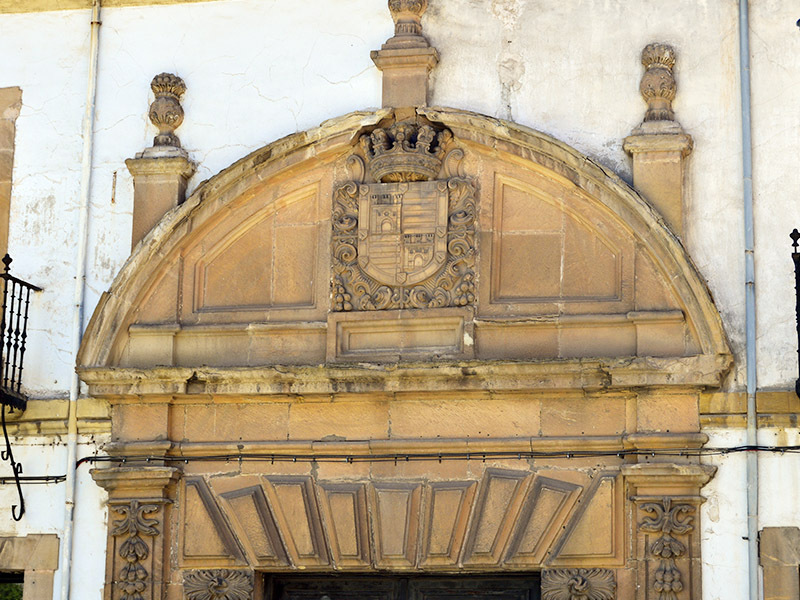 Adjacent to this, the Palace of Don Diego de Solier (2) rises, simple masonry construction which highlights the arches at the top and geometric decoration on the windows. 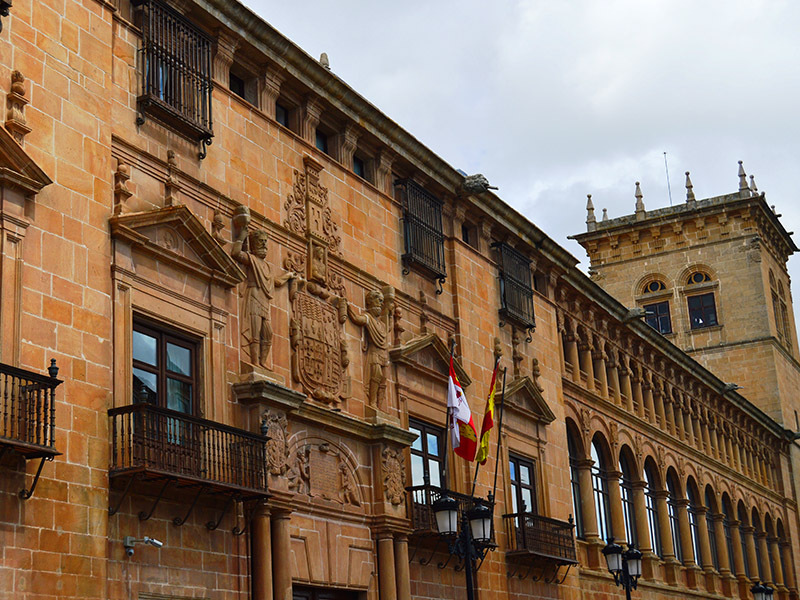 Uninterruptedly, on the right we find the Palace of the Castejones (3), Renaissance building constructed with hewn stone, decorated with scallop shells on windows and curious cover in which two bearded holding a coat of arms. 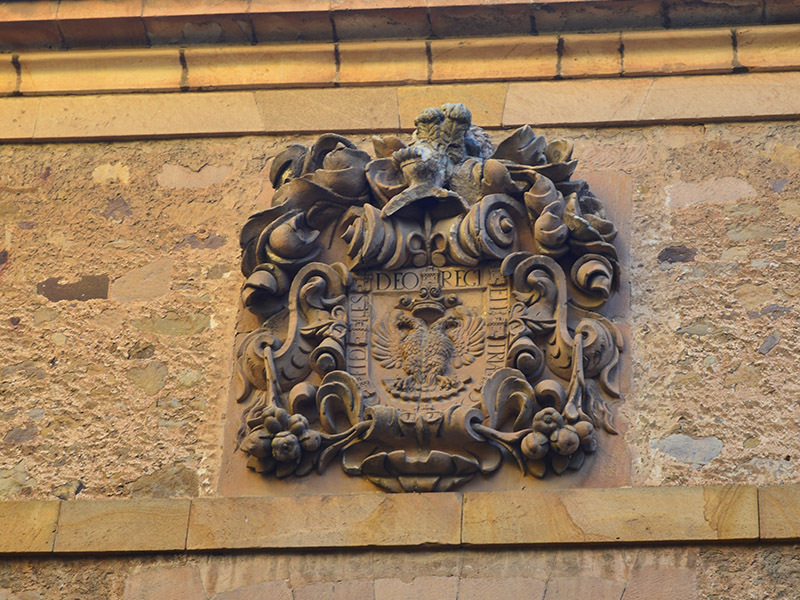 The last building of this noble apple is the Palacio de Los Rios y Salcedo and (4). It is a good example of civil Renaissance art, highlighting the careful delicate plateresque facade decorated with filigree and window plant in corner. 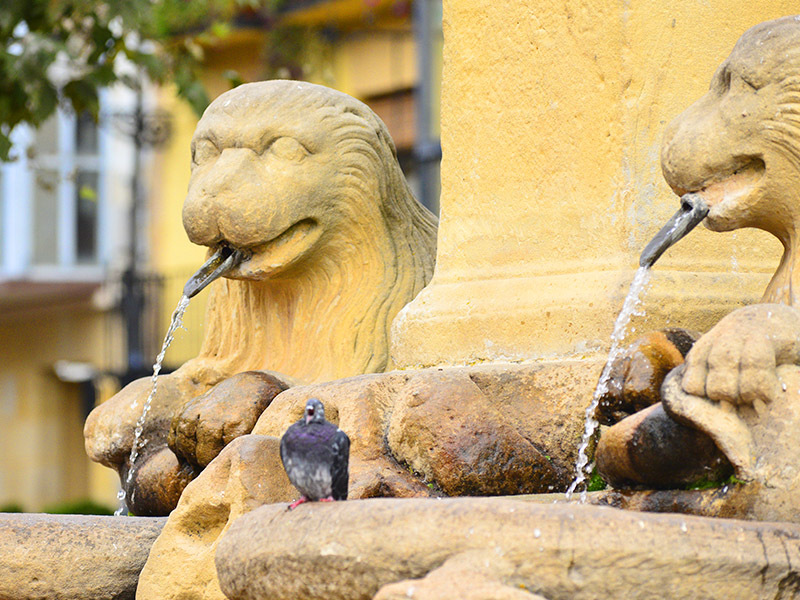 Not far away is the Caballeros street, another noble streets. 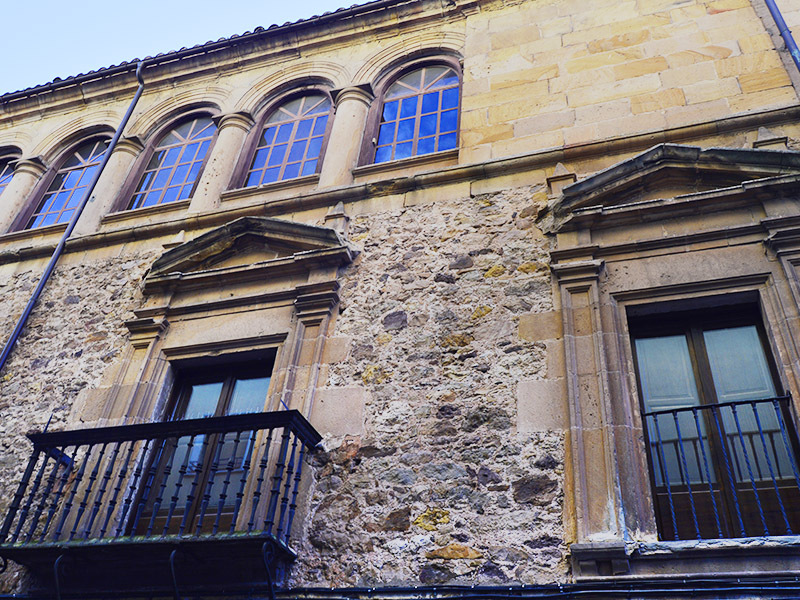 The facades of several buildings remind us of the past splendor. 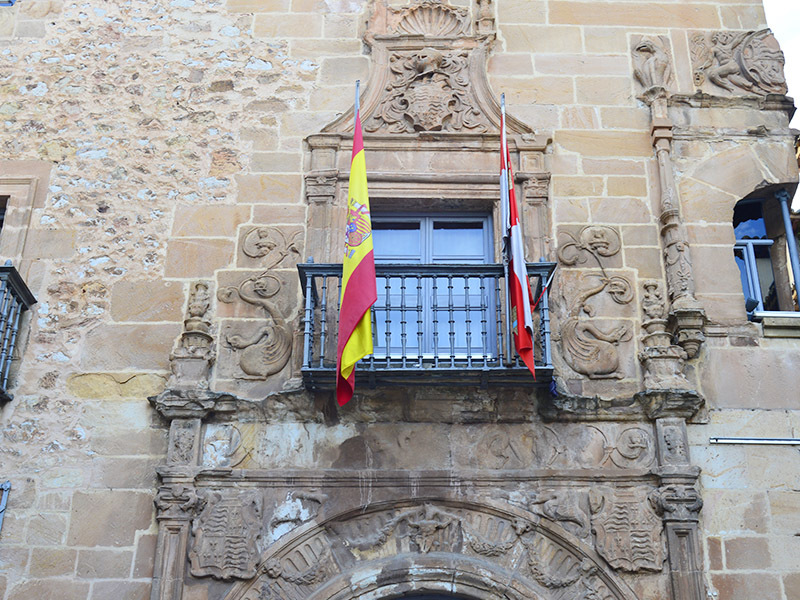 At the beginning of the street is the Palacio del Marqués de Alcantara (5), solid construction of the XVII in the style of the Austrias century of heated decoration and tower with spire. We recommend a walk along this route, before descending to the Plaza Mayor (6). 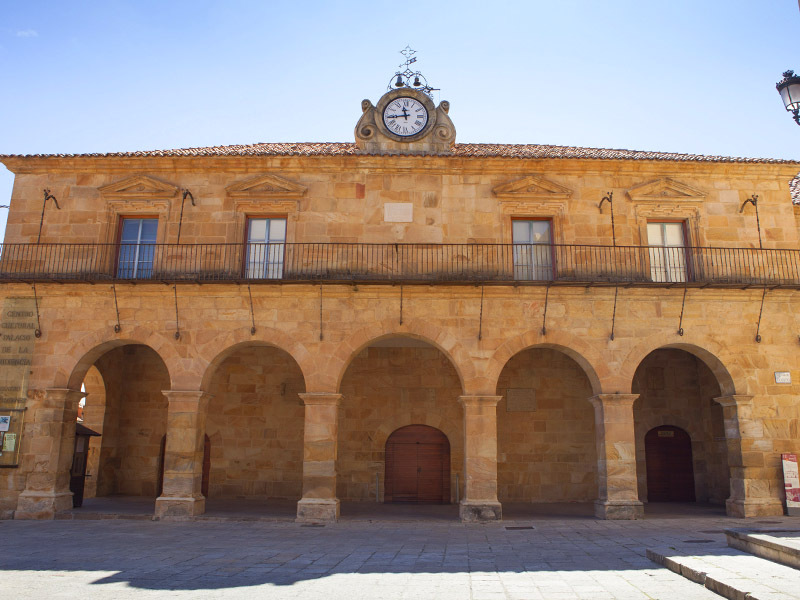 This sorian agora, with features Castilian square, is set as the heart of the city, housing once the major institutions. 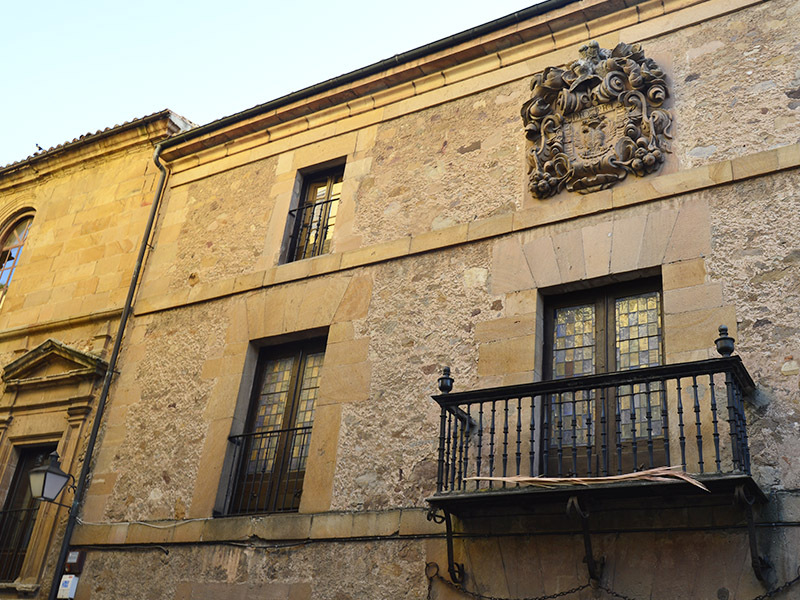 On the east side, the Palace provided the Court initially raised to accommodate the City Council, exercising later as court, jail and now as a cultural center. 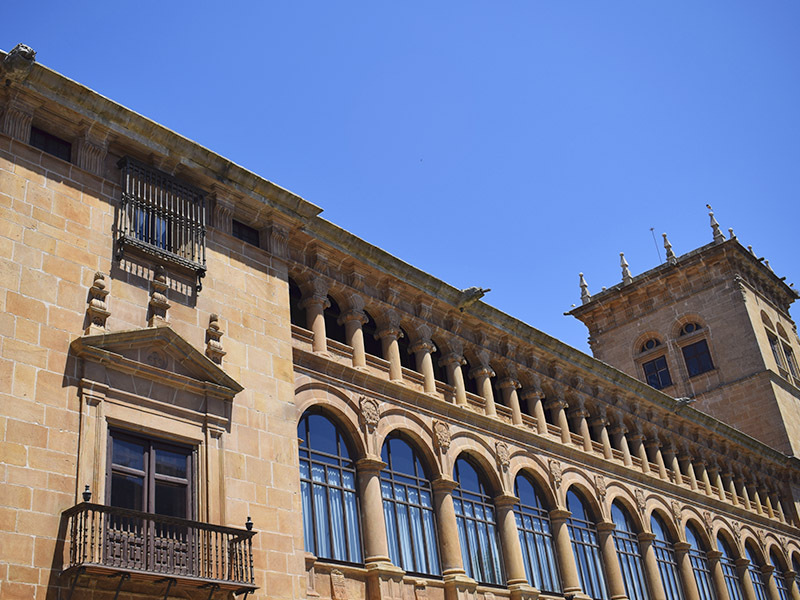 High arcades on the ground floor, triangular pediments in the upper windows and an evocative clock crowning the roof, which masterfully sang Machado, are the main decorative features. 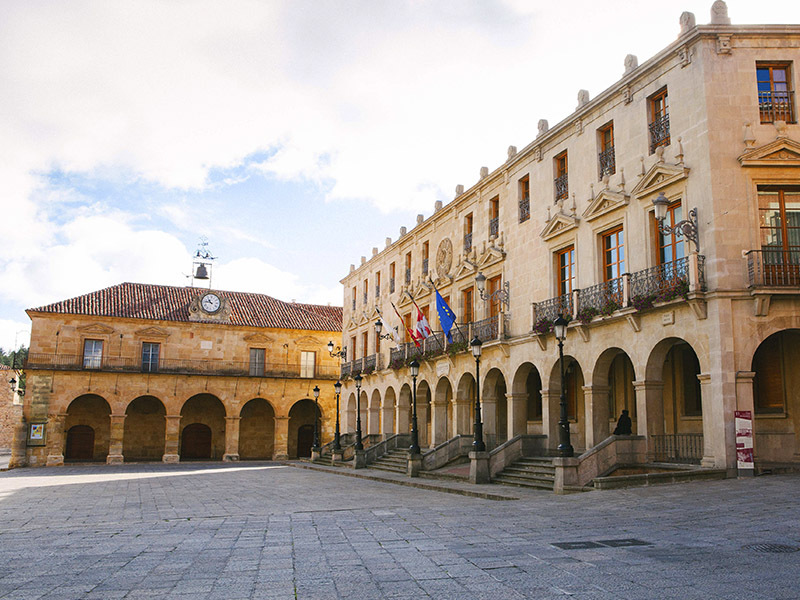 Closing the square from the south, the town hall of the Twelve Lineages building that sits on the site of the former headquarters of the Twelve Lineages and renovated and expanded receives the City of Soria. On the north side, the House of Common, where neighbors met with their representatives to the Corregidor Real to transfer their problems. Under this simple construction an arc known as "horn" is opened, having served as toriles long time this space was used as a bullring. 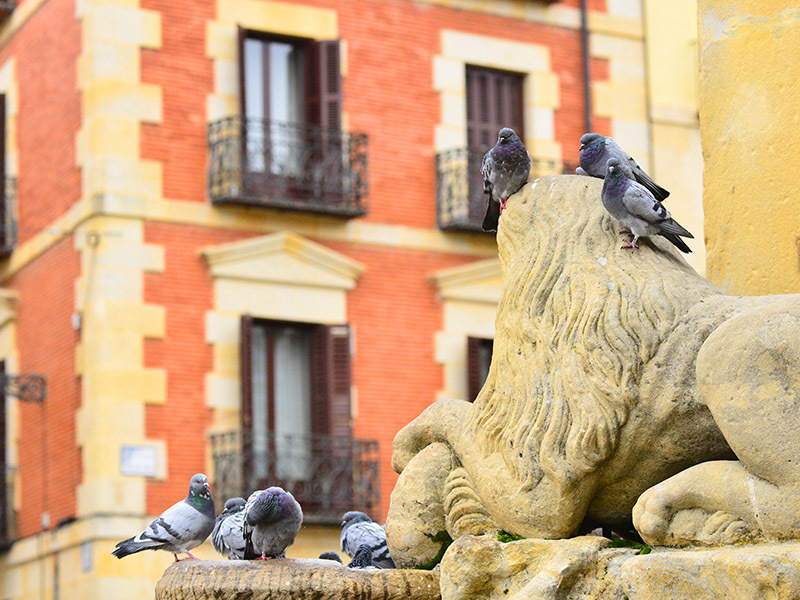 It should also mention the Fountain of Lions, who after many different locations around the city, finally rests on this prominent place. 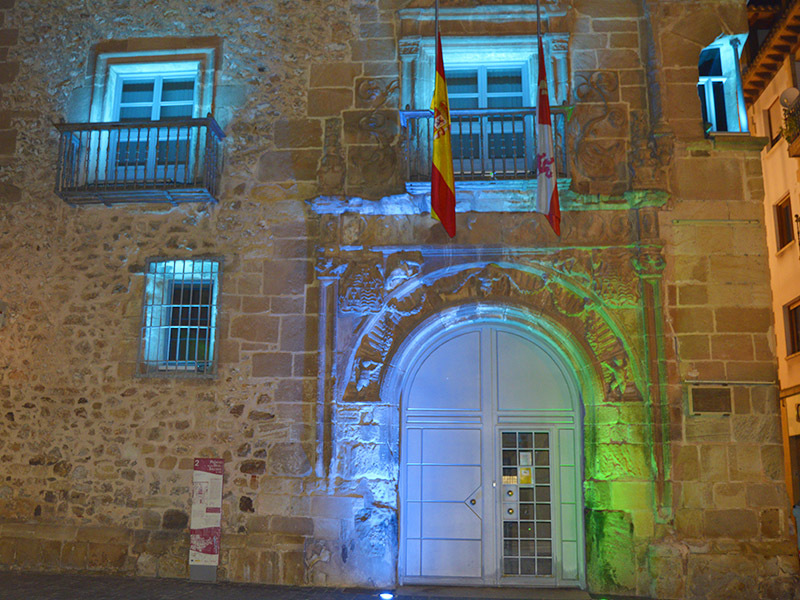 A few meters from the Plaza Mayor, towards the river and through the Church of Our Mrs. of the Mayor, Romanesque facade and Gothic interior, we find the Don Juan de Castilla Palace, Beteta Palace or Tower of Doña Urraca (7) which it is a defensive tower of three plants of S. XVI responding to the medieval tradition, in a large house flanked by two towers (before the fire in 1603). 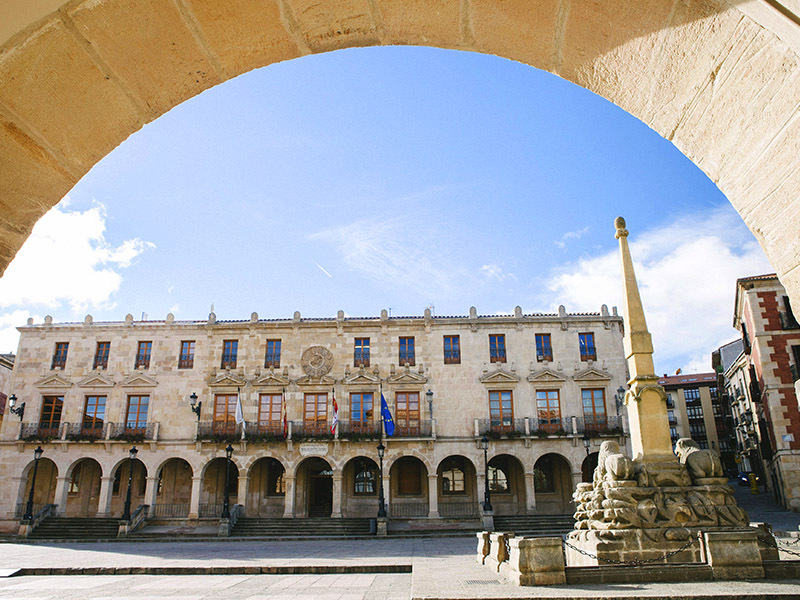 Traversing the aforementioned arc Horn and across the street Zapatería, union and backbone old town street, arrive to the main Renaissance building in the capital, the Palace of the Condes de Gómara (8). Majestic work of the sixteenth century by the patronage of Francisco Lopez del Rio, head of the soriana nobility, who wanted to make clear with this witness stone the power he had. The building has two distinct parts: more solid, with characteristic geometric decoration on windows and left a monumental doorway in which two sergeants hold the shield owner; and right, which becomes visually more dynamic, thanks to a double gallery of arches 0:24 respectively. At the western end a stout tower rises.